Check your Optimum coupons, Shoppers Drug Mart has a great BOGO on today. 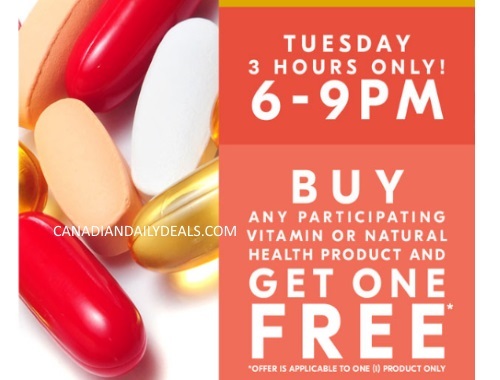 Buy any participating Vitamin or Natural Health product and get 1 Free! This offer applies Tuesday, June 20 only between 6-9pm. Coupon must be loaded to your Optimum card to get this offer in-store. Offer is applicable to one product only. Click here to browse your Shoppers Optimum coupons.